On December 9, 1979 the quotable Fulton J. Sheen entered into eternal life. "You must remember to love people and use things, rather than to love things and use people." 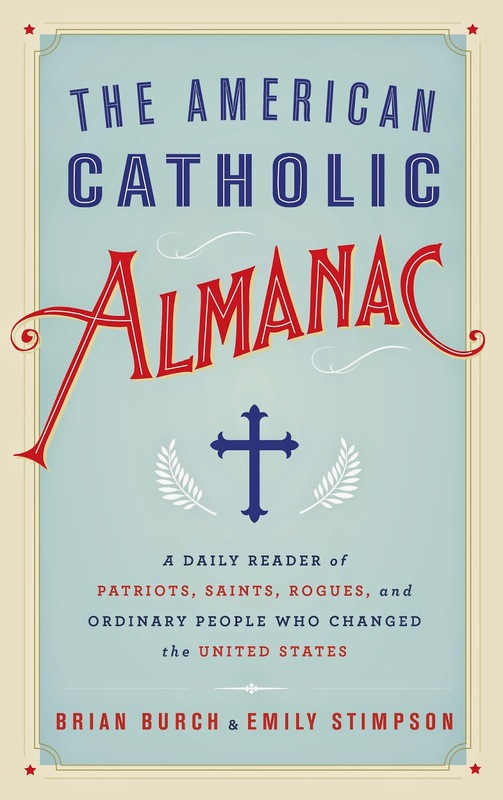 In the new book The American Catholic Almanac: A Daily Reader of Patriots, Saints, Rogues, and Ordinary People Who Changed the United States, authors Brian Burch and Emily Stimpson share a few more of their favorite Sheen quotes, along with 364 other pages of interesting stories, powerful anecdotes, mini biographies, and short history lessons - one for each day of the year. The ACA shows the expansive variety of American Catholics' backgrounds - rich, poor, royalty, European, the East Coast, rural America - and all the big and little ways they changed US history. I love history, especially as it's told through personal stories, and so I really enjoyed this book. ACA is interesting to read through on your own and would also make a great coffee table book - something to have laying around that guests, family, and babysitters can pick up and flip through. I even took it to my moms' group and we all took turns reading about what happened on our birthdays - like a parlor game. The book is handsome and a nice size and weight. It would make a great gift, especially for someone like my grandpa, who is Catholic and impossible to buy for. The American Catholic Almanac was written by Brian Burch and Emily Stimpson and is published by Image, a division of Random House. Saw this and thought - perfect for Grandpa! Thank you for sharing! That sounds like something right up my alley. Adding it to the list! Thanks for sharing!! That *does* sound good. Thanks for sharing. I love Emily! Thanks so much for sharing this! This looks so cool!! I'll be putting it on my list!